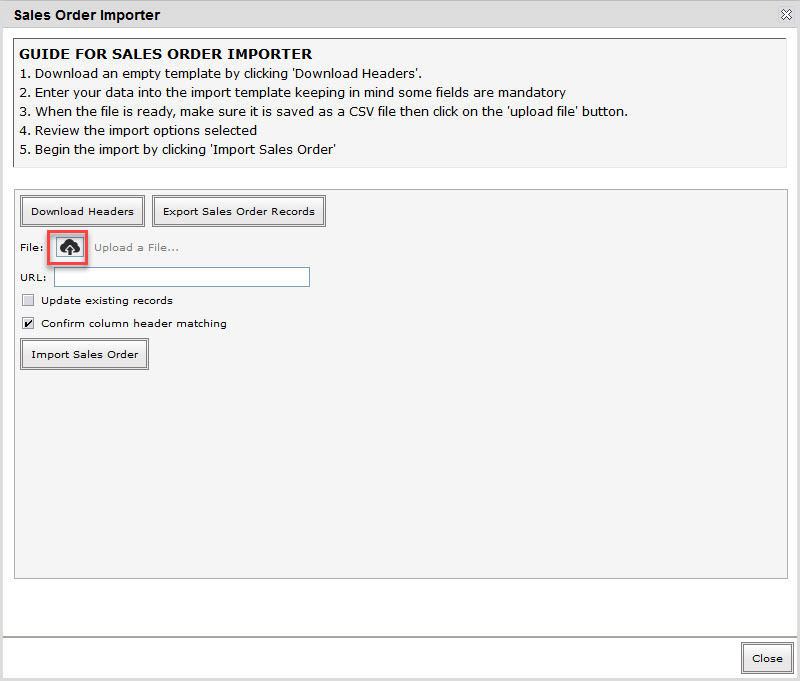 In the Sales Order Importer screen, click Download Headers to download a copy of the CSV file format. The CSV file will look like the one below. Customer – the customer’s name. 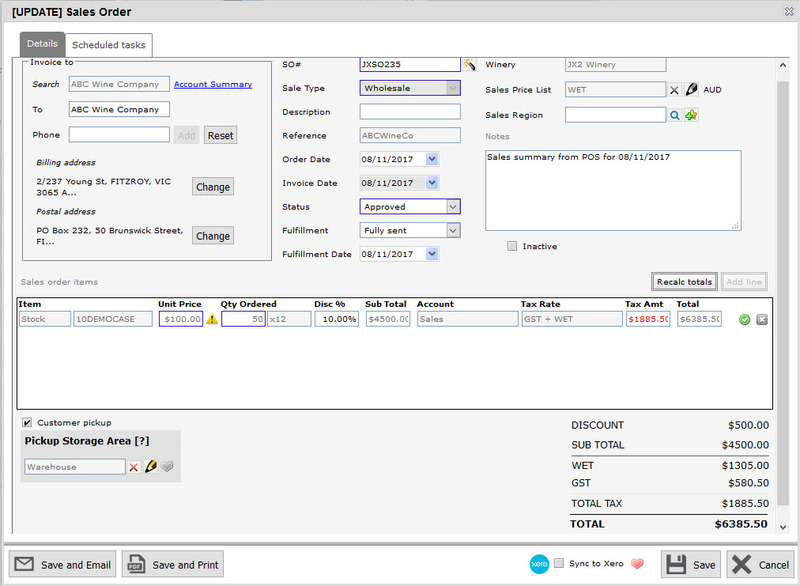 A generic option such as walk-in should be created in vintrace for POS sales where the customer could not be identified. Sale type – Wholesale, Retail, Staff, Export, Distributor or Tasting/Own use (can be defaulted for POS / eCommerce to Retail if not supplied, although discounted staff sales do have a different WET liability so it’s important that these are sent through with a specific sale type if possible). Price list – one of the price lists defined in vintrace. This determines the WET tax liability for staff purchases, override revenue accounts per item and tax inclusive/exclusive rules (can be defaulted). 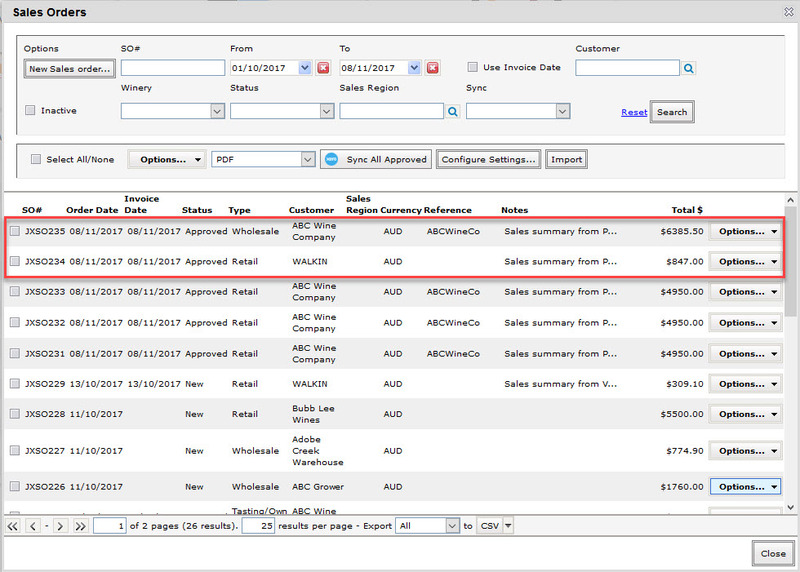 External reference – the internal sales order reference for the POS / eCommerce platform (helps auditability and is used when other system can send refunds). Invoice date – the invoice date. Date format is either dd/mm/yyyy or mm/dd/yyyy depending on locale. Region – the sales region/categorization used for tracking. If not provided it can be defaulted, or left blank. 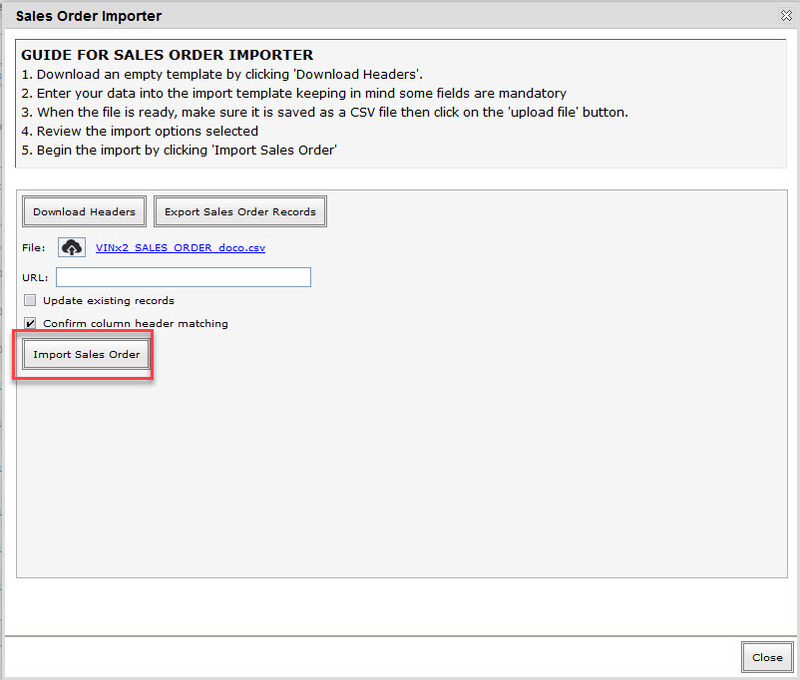 Item code – the vintrace item code (same as the Code field in the stock item import). Unit price – the price for the item. Qty – the number of items. Discount – either a discount amount or percentage. If discounting based on a fixed amount the value is a number, without the dollar sign (eg 10.50 would be a $10.50). If based on percentage, include the percentage sign (eg 10%). Account – the revenue account (can be defaulted based on price list/item rules). Tax rate – the tax rate to use (can be defaulted based on price list/item rules). 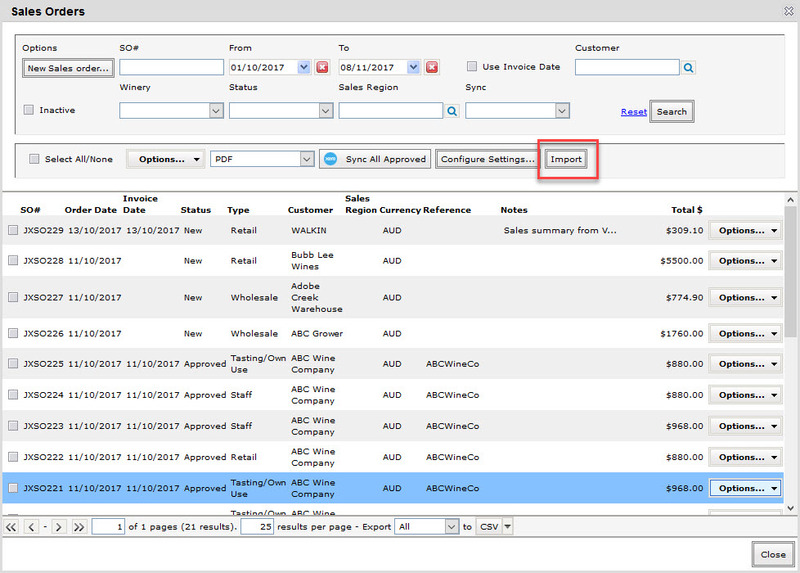 Fulfilled – a Y/N flag to indicate that the stock should be depleted within vintrace (can be defaulted based on settings). 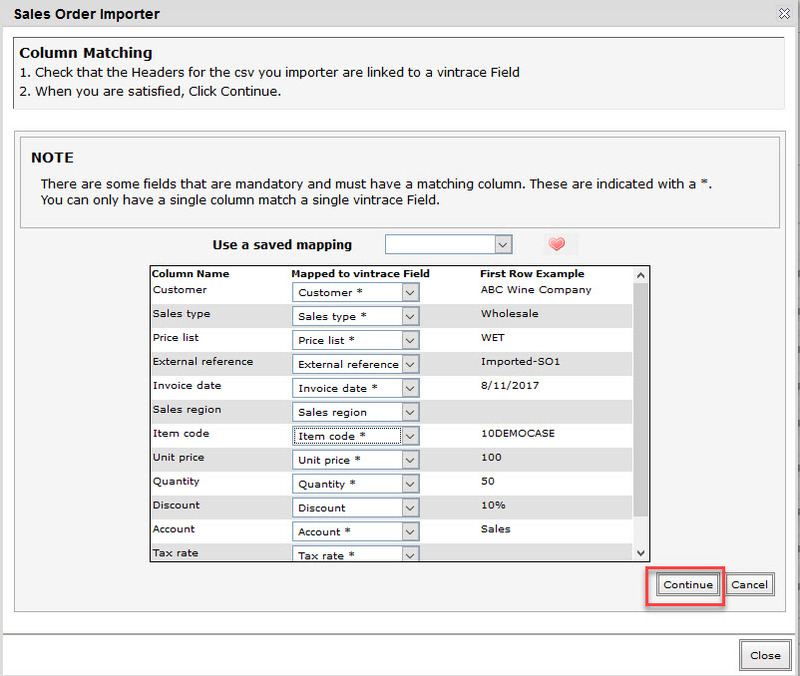 Below is an example of a CSV file to be imported into vintrace. In this example, Sales type, Unit price, Account, and Tax rate were not provided for the Walkin customers. The data for these columns is deduced from the Price list or Item code provided. 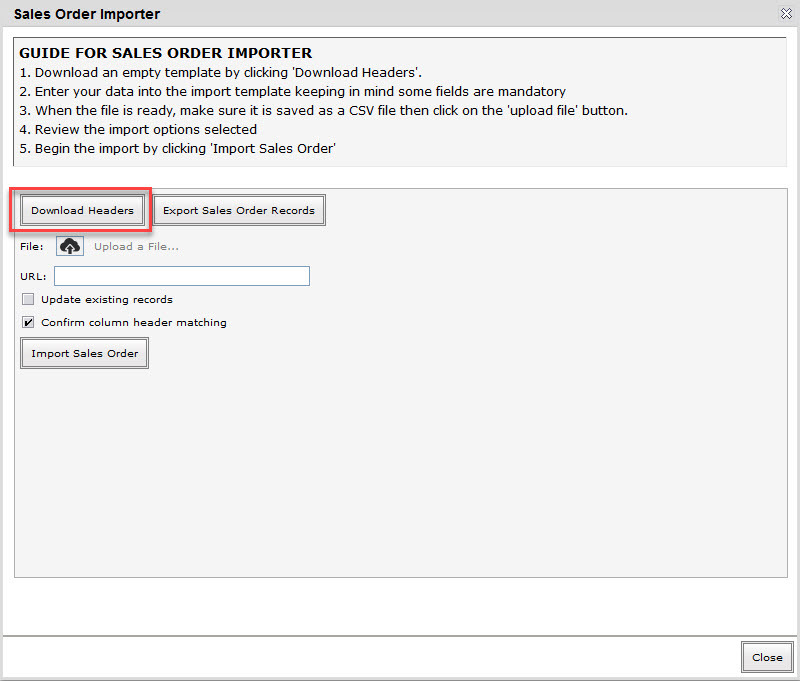 In the Sales Order Importer screen, click on the upload a file icon. Click Browse to select the file to be uploaded and then click Upload. The file has been imported successfully. 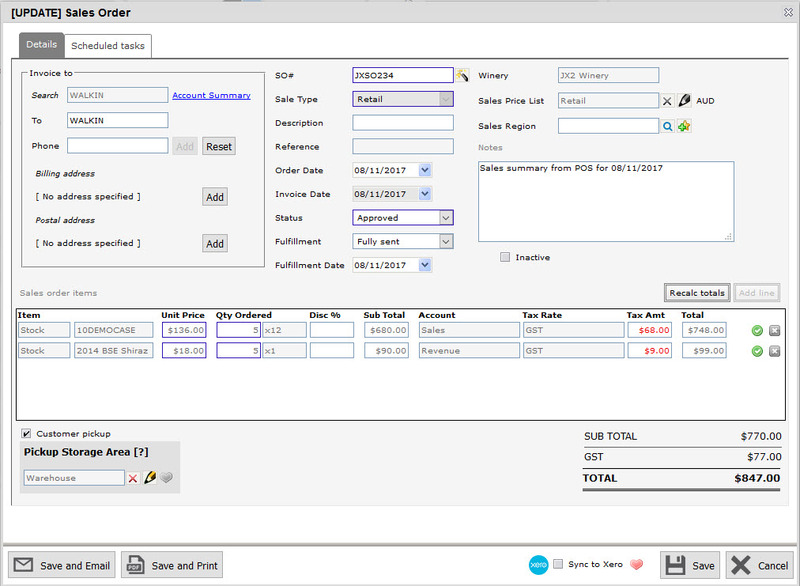 vintrace creates one Sales order (with multiple line items) for each combination of Customer, Sales type, Price list, and Invoice Date. 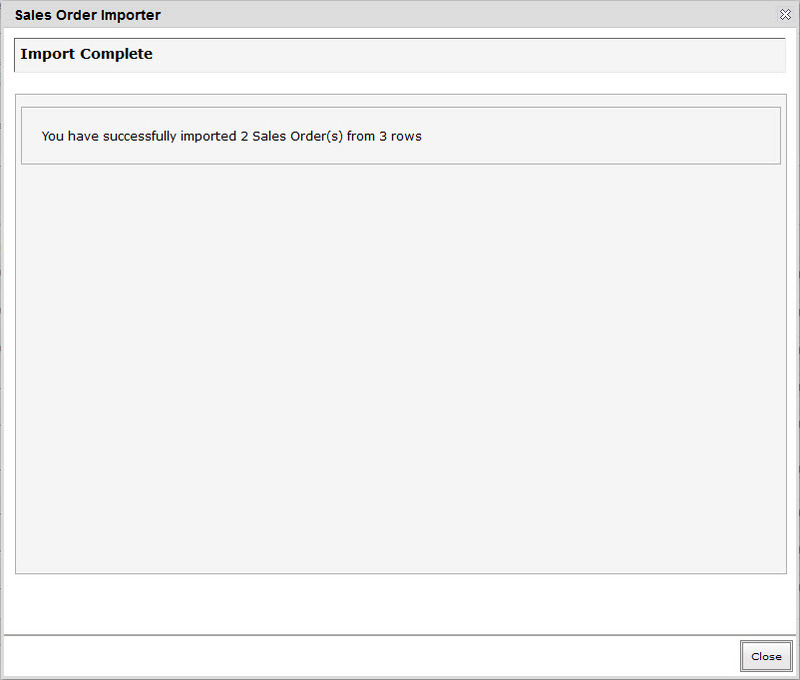 In the example provided, two sales orders are created. 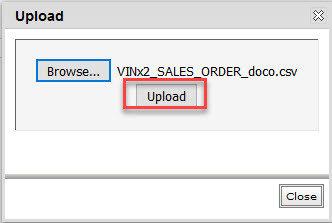 View each Sales order to see the details of each line item from the uploaded file.